Lee University will welcome indie rock band Colony House on Sunday at 7:30 p.m. in the Conn Center. The quartet will open a U-Church series that also includes For King and Country and An Evening of Worship. 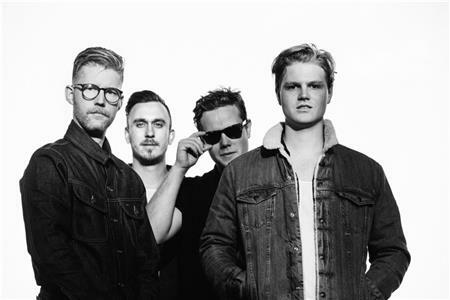 Colony House, consisting of brothers Caleb and Will Chapman, guitarist Scott Mills, and bassist Parke Cottrell, is an alt-rock band from Franklin, Tn., that began in 2009 while they were in high school. They self-released three EPs followed by their debut album, “When I Was Younger,” in 2014. “We invite everyone to become a part of what God is doing here,” Pastor Fultz said.